Amazing “Black Friday” Shopping Deals! How am I such a habitual internet shopper and yet the whole “Black Friday” thing totally escaped my notice? Some of the deals are quite incredible! 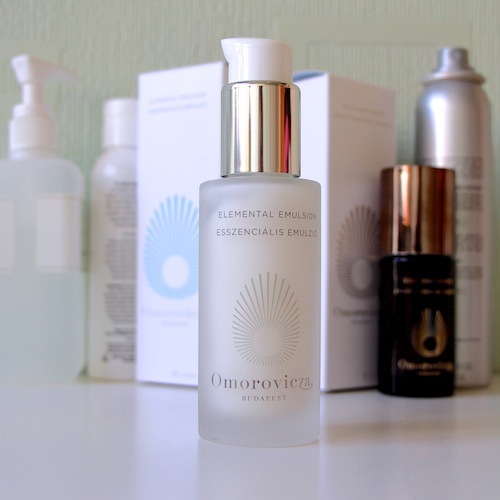 For a start, Omorovicza have up to 30% off everything. EVERYTHING! Until Sunday! If ever you wanted to try something from this ridiculously luxurious brand then now is the moment – the Deep Cleansing Mask, usually £57, is £39.90 (here) and the Queen of Hungary Mist (one of my top all-time beauty products) is £36.80 (here). Most significant, however, is the discount on my new “Holy Grail” product, the Elemental Emulsion. It’s sod’s law that I was aiming to write an in-depth post on this pre-Christmas but hadn’t yet managed to get around to it; for now, a quick precis will have to do. I have been using this ultra-light moisturising fluid almost every day for around six weeks, now, and I’m finding that I reach for it automatically without even considering my other options! The Elemental Emulsion is a very, very light hydrator – it feels barely any richer than applying a watery serum – but it really does the trick when it comes to hydrating central-heating-battered skin. For people who are worried about moisturisers being too rich for them, this is perfect; for people needing an extra moisture “boost” pre-face-cream, this is also perfect. I find that it is effective enough alone, but those with drier skin may like to add a cream afterwards. As an in-betweeny kind of product, it is just absolutely spot-on, for me – I use it before a BB or CC cream, before tinted moisturiser, after a serum at night, whenever. I don’t worry about it being too rich or oily, no chance of greasy skin breakouts here! GAP have a whopping 30% off everything – kids, mens, coats, everything. I’m stocking up on colourful socks and scarves for nieces and nephews! You need to use the code SHOPGAP here.